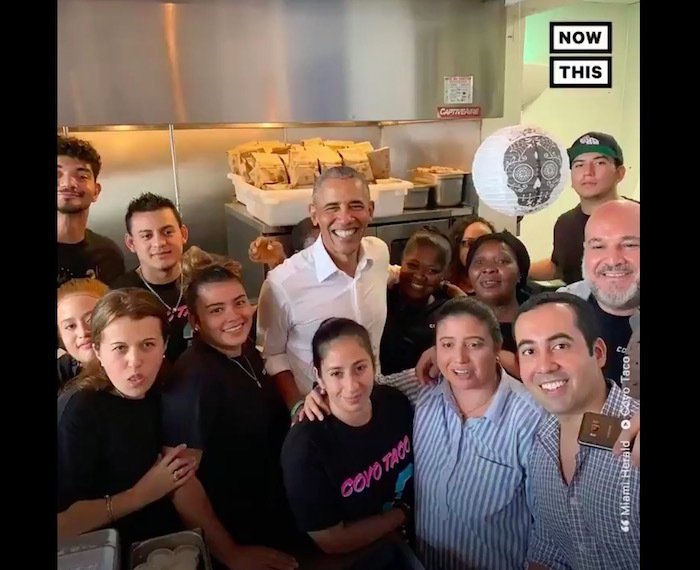 When Barack Obama made a pit stop in Miami to grab some tacos, the reaction from the customers is priceless. They sound like teenagers at a rock concert, with people covering their mouths with their hands as they shriek for joy. "All right guys, where's my tacos?" Obama jokes as he surprises everyone with his appearance. And later, "I want everyone to vote!" he shouts to cheers. "He ordered three tacos and left a $40 tip," according to the video below.